The first film I saw at this year’s festival is also the most disappointing so far: as a big fan of Chow Yun-Fat and Asian action cinema in general I had high hopes for LET THE BULLETS FLY. Early reviews have been strong, but as much I wanted to love it I couldn’t help but come away unsatisfied and with the impression that the film is, at best, uneven, and at worst, an incomprehensible mess. Set in the Sichan province of China in the 1920s, legendary bandit Pockey Zhang (played by director/screenwriter Jiang Wen) executes a daring train robbery on a train carrying a con man posing as a government official, who is making his way to pose as a mayor of a nearby town. Zhang assumes his identity and takes over the town’s mayorship – however, he discovers that the real power in the town belongs to crime boss Master Huang (Chow Yun-Fat), who presides over the town in an enormous, fortified citadel. When Zhang makes it clear that he has no desire to be Huang’s puppet, the two men engage in a back and forth game of deception and one upmanship in an attempt to finally oust the other from power for good. 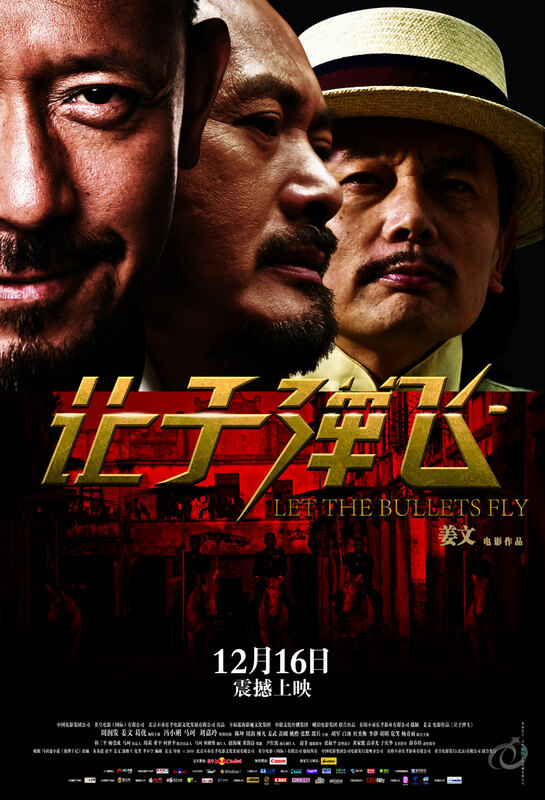 Also, for a film titled LET THE BULLETS FLY, the action scenes are pretty disappointing. On the one hand, huge points for not employing a stupid WANTED/THE MATRIX effect for when Pocky actually lets ‘the bullets fly’, but on the other the gunplay scenes are largely pretty lifeless. It’s also an intensely wordy film – the dialog scenes go on forever, with the kind of rapid-fire cyclical banter that would be exhausting even if you weren’t also having to speed read subtitles. It’s overwritten in places to a ludicrous degree, with an excess of twists and sub-plots that drag the film down significantly, and it’s unsurprising to discover that the film had five screewriters and reportedly underwent 30 re-writes before filming. LET THE BULLETS FLY does way too much telling, and not enough showing, and it’s in this sense where it is sorely lacking in comparison to the Kurosawa East-Westerns it is obviously inspired by. A film like SANJURO is a perfect example of how to balance to tone of a comedy-action period flick like this, without letting any of the elements suffer.- LET THE BULLETS FLY can’t help but look amateurish by comparison. Despite all these flaws you can’t quite write off LET THE BULLETS FLY as a load of sound and fury signifying nothing, as there is some interesting stuff going on under the hood. There is definitely something subversive about the notion of a Robin Hood-like character of Pocky Zhang appropriating a government position and doing a better job than the actual official, and this distrust of government alongside the emphasis the films places on giving political power back to the people is interesting when put in the context of the communist China in which it was made. In its final moments the film’s political message, muddled for a lot of the film, does come together well, with a pointed, clever resolution that could genuinely be described as Kurosawan. 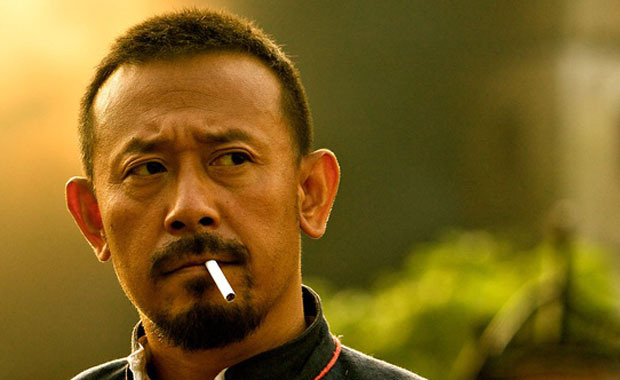 Also, Jiang Wen is excellent in the lead role, giving a measured and powerful performance, and Chow Yun–Fat is always good value. It’s a shame the film wasn’t pared down a great deal – at nearly 2 and a half hours, it’s a tougher film to recommend than it would be had it been leaner, more disciplined film. It’s not terrible, but LET THE BULLETS FLY ultimately frustrates and feels like a missed opportunity. Thank the stars, someone disliked this as much as I did. All the critics are raving, and I don't get why.